Welcome back! Today's Nailmas post is going to follow a bit of a different format. I have swatches first, then nail art because it's Polish Pickup week! First up we have Scofflaw Nail Varnish Was That a Magic Mushroom. 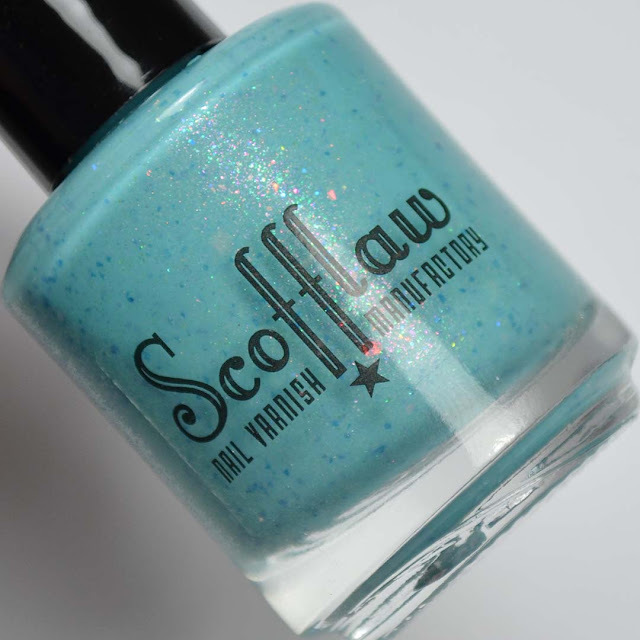 This is Scofflaw's upcoming December Polish Pickup color. Notes: Was That A Magic Mushroom is exactly like what I would expect from a color with this name. This polish is capped at 113 bottles. Scofflaw Nail Varnish Was That A Magic Mushroom will be available through the December Polish Pickup. Ok time for the nail art and live swatch video! If you enjoyed this post you might like Scofflaw Nail Varnish Black Friday LE Polish and Scofflaw Nail Varnish Halloween Mini Collection LE 2018.